Sorry to tell you, but if you've bought a jar of peanut butter since 2008, you've been screwed. It's not like the peanut butter company came to your house, rang your doorbell, punched you in the face, stole your TV, pet your dog in a really aggressive way, and then ran off. But it screwed you out of your hard-earned money without you even knowing about it, and that might be worse. Here's the breakdown. 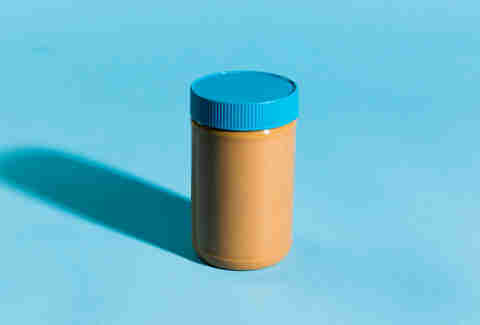 In a blockbuster story from the LA Times in the late aughts, journalist Jerry Hirsch reported that Skippy peanut butter changed its jar. Buckle your seat belts, boys and girls: the jar changed! It's boring, right? Well, that's kind of what Skippy was counting on -- to not get your attention with the move. Because you couldn't actually see any difference when you saw it on the shelf. 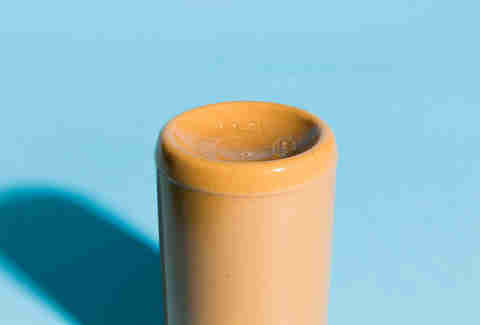 See, Skippy added a "dimple" to the bottom of the jar, which means that instead of having a flat bottom like a plastic jar should, it's concave -- it goes inward, like Jennifer Garner's cheeks. And the weight of the jar, which was previously 18oz, became 16.3oz. The price did not change. I'll repeat: the price stayed the same, and you got 9.44% less peanut butter. As for the other peanut butter brands, Jif struck back by keeping its jar the same, and even enlarging the font on the jar, to let choosy moms see that it was still 18oz, instead of the 16.3oz Skippy offered. That didn't last, as you'll soon find out. If you're thinking, "So what?" you probably scored poorly on math tests in high school. Suffice it to say, 10% less peanut butter in one jar means you're going to run out sooner than usual, and buy it more frequently throughout the year without ever knowing why. 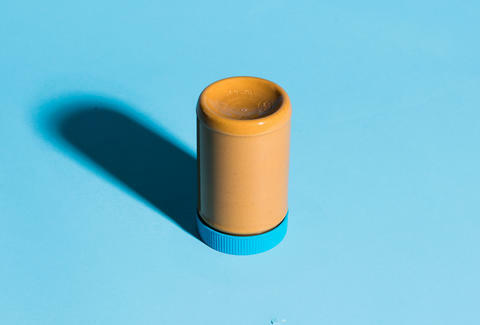 In his book Priceless: The Hidden Psychology of Value, William Poundstone writes that consumers might switch peanut butter brands if the price goes up. But if the price stays the same and the jar invisibly shrinks? No harm, no foul. That's why in 2008, Poundstone notes that Kellogg's also made thinner cereal boxes of Cocoa Krispies, Froot Loops, and Apple Jacks, but kept the width, height, and price the same... and no one noticed. No one is looking at the label of a cereal box or a peanut butter jar to see how much food is in there. You trust your eyes and the price you've seen over and over again. That's how companies can get away with this. But those changes were in 2008. What's going on in the peanut butter game today? I reached out to Hormel, which has owned Skippy since 2013. Back in 2008, when the jar changes were made, Unilever owned it. I asked why the peanut butter jar has a dimple, and if the shape has changed recently. Hormel didn't respond to my question, but a spokesperson did say that, "We have not changed the jar since we acquired the brand in 2013." All of these jars have dimples, Skippy's being the largest -- weirdly, it also has the biggest wrap-around label, though it looks similar in size to the Jif and Peter Pan jars. And strangely, while Skippy's dimple certainly looks the biggest, the jar didn't shrink as much as the Jif one did. Why the hell is the Skippy dimple so big then? That's because this is a vast peanut butter conspiracy. There are no 18oz jars like there used to be. After all, there's no point in giving people more peanut butter for their money if they never knew the jar shrunk in the first place. Again, it's a vast peanut butter… actually, this is just about companies trying to make as much money as possible. Nothing weird about that. Lee Breslouer is a senior writer for Thrillist, and enjoys peanut butter with all his heart. Follow him to crushed peanuts @LeeBreslouer.